The Town has a Park Standards Guide to which we have to conform. Town will install. Installation must be removable for winter. Agreed we should look at something funky. The initial feeling from the Town is that we should be ok to leave up for 1 year. Kelan is to confirm. The Town does have insurance and technically we are covered. However, most BIAs purchase their own to cover Board Members for site work such as electrical, structure erection, and other activities. This insurance costs us about $100 per person and may be redundant. John McLean is to look into what the town insurance covers and make recommendation that we need our own policy. Letter has been sent to Town committing to these and maintenance. Kelan to set up walk around with Town to determine numbers and placement. Town is ready to go. Need to meet with them to determine where and when. Kelan – what are next steps? Do we place order through Town or Direct? Kelan has uploaded to Dropbox. Data needs to be confirmed. I will divide list among Board Members who will each reach out to their list to confirm that information is correct. We have prepaid for 3 years for our Go Daddy site, hosting, and domain name so we will not build a new site until this runs out. Board requires more details about actionables and deliverables from Chris. I will set up a meeting with Chris, Andrew, and myself. Thanks to Kelan for printing. I have all copies. I will purchase 4 holders to use for placement in local businesses so residents can pick up. We need to do a walk around to as many member/partners to introduce ourselves and hand out newsletters. This will also be opportune time to invite them to General Meeting. Once member/partners have newsletter I will put up on website. Budget is complete and has been sent to Kelan. We need to present to member/partners at General Meeting. Member Partners must have minimum 10 days advance notice. I need to draft an invitation letter to be sent to member/partners. Kelan will send invites to all but we should also include in our walkabout. Received an invite to join CCT and put us on their website. I completed the initial upload on www.rot6.biz. We can later upload our events into their calendar. We will also be uploaded to www.yorkscene.ca. Second part is opportunity to apply for funding through their match program. Funding must be used for encouraging overnight stays and/or spending in our member/partner establishment. Big issue is deadline for submission is March 20. Frank suggested talking to Sutton BIA. If we are going to proceed I have the forms. We need a meeting early next week to prepare paperwork. I will be attending a meeting on Monday March 9,2015 with other York Region BIAs for a discussion on homelessness. Wednesday March 11, 2015 at the Pioneer Museum. I will be going. You are all invited to join. There are 2 meetings scheduled about the Link. We should attend. Kelan please forward dates and times. I have prepared a poster concept to be placed around JP to seek volunteers. General feeling is that it is too wordy so I will revamp and send out. Kelan and I will be meeting with Carolyn Crate on March 6, 2015 to discuss issues and opportunities. I will update after meeting. Agreed that future meetings will be held on 3rd Thursday of every month. Every other meeting will be committee reports. I will publish schedule and upload to website. BE IT RESOLVED THAT EFFECTIVE UPON CHANGING PAPERWORK WITH THE BANK ANY TWO (2) OF THE FOLLOWING; STEVE JACOBSON, ANDREW SIBBALD, JOEL LIPCHITZ, OR JOHN MCCLEN, MAY BE SIGNATORS ON THE JACKSON’S POINT BIA TD CANADA TRUST ACCOUNTS. POWER POINT PRESENTATION IS COMPLETED. PLANS ARE WELL UNDER WAY. THE PERCH FORMS ARE BEING CUT AND WILL GO ON SALE RIGHT AFTER CANADA DAY AT KAT’S GALLERY AND EUSTACE PHARMASAVE. THE JUMBO PERCH HAVE BEEN COMPLETE BY BLACK RIVER PUBLIC SCHOOL AND JERICHO. THE YOUTH SHELTER ARE UNDERWAY. POSTERS ARE PRINTED. STEVE WILL PUT UP AROUND TOWN. DATE IS THURSDAY JULY 23 AT LAKEVIEW HOUSE. EACH BOARD MEMBER IS TO SET UP A FOURSOME. 13.03 UPDATE ON ASSOCIATE MEMBERSHIP. WOMEN’S SUPPORT NETWORK OF YORK REGION HAS JOINED AS A NOT FOR PROFIT. 13.04 PROPOSED TOWN BYLAW CHANGES. REMOVED FROM AGENDA AS TOWN HAS EXEMPTED BIAS FROM THE CHANGES. 13.05 DIRECTORS INSURANCE HAS BEEN PAID. STEVESPOKE TO OBIAA AND ADVISED THAT IT IS VERY DISSAPOINTING THAT THEY DO NOT OFFER THIS AS A BLANKET SERVICE. WHY SHOULD INDIVIDUAL BIAS NEGOTIATE THEIR OWN. THEY PROMISED TO REVIEW THIS. 13.07 BUDGET. STEVE AND ANDREW TO GET TOGETHER TO REVIEW THE BUDGET AND CLARIFY THE POINTS IN ANDREWS EMAIL. 13.08 BONNIE BOATS SIGN. STEVE PUSHED TOWN, VIA KELAN, TO PRINT AND PUT UP A TEMPORARY SIGN TO REPLACE THE ONE KNOCKED DOWN IN THE WINTER. 13.09 LAKE SIMCOE LIVING AD OPPORTUNITY. KATHY TAYLOR FORWARDED AN EMAIL FROM THE MAGAZINE INVITING US TO PARTICIPATE IN THEIR UPCOMING ISSUE HIGHLIGHTING EVENTS AROUND THE LAKE. UNFORTUNATELY WE RECEIVED THE INFO WITH ONLY A COUPLE OF DAYS TO REPLY AND MISSED THE DUE DATE. 14. CALL TO ORDER: Called to order at 5:10 p.m.
Steve reminded the Board that we were going to have another Movie ibn the Park on July 25th showing the movie “Grease”. Equipment test this week (Kelan & Steve). Need to start setup with someone in the park by 7:30 pm. The screen is 6x8 and the Car club will be arriving around that time as well. (15-20 antique cars from Newmarket car club). We need to designate areas for chairs and just ground sitting so people aren’t blocked. This Saturday we have Fat Kat playing jazz, blues, and rock and roll in the park. Please promote and attend. Bike racks: still at least 1-2 weeks . private purchases by various businesses need to be paid as well. Flowers around Town: The median should have flowers and the Town is trying to fix it in time for the Painted Perch Festival. The point now also needs replacement flower barrels for the ones destroyed by vandals. Kelan indicated that next year we need to make sure that the Horticultural budget includes this area at the request of the BIA with the BIA to match funds. Lakeview and Jericho have also paid their associate memberships. Thanks to Kelan, the Bonnie Boats has a temporary sign and the new sign will be done for the fall. Music in the Park has not been well attended during 2-5 pm. Perhaps we should do it in th evenings as opposed to the afternoon. It was decided to make this change. If there is an event in the Park, members are asked to be there at least at some point. BUDGET: report available for the next meeting. Steve reported on Painted Perch: so far 42 kids and 43 adult perch cutouts have been sold. We need to PISH PUSH PUSH. 12 more perch sold but not picked up. It was suggested that any BIA member who wishes to sell the perch blanks could do so next year which might help with sales, but will make it harder to keep track of. Steve said that we need approximately $1,200 in prizes total (or money). We also need to varathane the Painted perch sign. on Tuesday and then place 1 at the Parkette and one at the Briars/Red Barn. There are 8 or 9 vendors so far. Kelan is to contact the Fire Dept to ask if they will be at the Festival as well. The Church group is handling the bake sale and butter tart competition. To date, we have 2 “sponsors” Lakeview Estates (no dollar figure yet) and Hedge Road Landing at $250. 11. UNFINISHED BUSINESS: Our General meeting shall be set for the fall of 2015 date to be determined. 12. NEW BUSINESS : Steve has been appointed to the Town LINK Committee. 12. OTHER BUSINESS: It was discussed that perhaps a nice addition to the Point would be a carving – Jessie Tomas from Georgina Island is an excellent carver and he could do a 10 foot tall x 11 ft wide eagle with thunderbolts at a cost of between $10,000 - $12,000. This should be discussed with the Town to see if they would fund such an item. This artists also does soapstone carvings and birch bark canoes (only 3 left in Canada able to do). We should request Community Futures to come to our August or September meeting to showcase their services and we can advertise it to our members. 12. NEXT MEETING: Thursday August 20th 5:00 p.m.at Steve’s. BBQ to follow for those who can stay. 18. CALL TO ORDER: Called to order at 5:16 p.m. There is a winter tourism video being done by the Town promoting fishing, restaurants and accommodations. Harvest time promo and other events and festivals are being promoted by the Town. The business park RFP is coming out soon. There is an Ontario BY Bike seminar on the second week in October with the idea to demonstrate how all businesses can be “bike friendly”. The Golf Tourney had 28 people. All had a good time with $630.00 raised and it was agreed that we should proceed next year as well. Good success for a first time event hastily put together. We also received three new FULL memberships from Lakeview Estate, Briarwood and Hedge Road landing. We have our new web site up and running which looks much better than the older one. John suggested that we should be sending our minutes and agendas out to ALL our members so that they can be totally informed. A Fall newsletter is being worked on by Steve – he wants input. 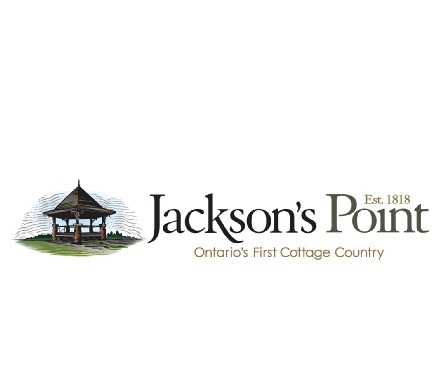 Sidewalk “problems” in Jackson’s Point was brought up and Frank Sebo indicated that he has reported these issues to the Town. Frank indicated that the Town was doing a Sidewalk Plan Study Assessment re existing life span and infrastructure needs. Briars Golf Course video was done and the BIA has a share to pay. Frank also reported on Dalton Road watermain repairs that the time & dates of repair are TBA but that all areas will remain accessible. Steve pointed out that there was a new catering business in Jackson’s Point. The October General Meeting will be held in the a.m. after Thanksgiving. It was decided that it should be Tuesday October 27th @ 8:00 am at the Briars with RSVP’s requested. Approximately $4,600 net was raised. Reminder that 10% of the 50/50 proceeds should go to the food bank. Kat went over the Thank You ad for the Advocate as well as a letter to the editor which she read. Steve pointed out that Linda Power (sp?) iswriting a positive letter re the Perch Festival. Kat indicated that there were approximately 90 kids and 65 adults who submitted Painted Perch to be judged. Next year it was suggested that we also upon up a “business category for $50 which should add interest. A round table discussion ensued going over the pros and cons of the event. The set up and tear down worked and was easier this year. Scott’s suggestion re the 4x8 sheets for the Art worked perfectly. Setting up the tent the night before worked but we could use more help that evening. The Jewel Radio ads worked because people were talking about them. Fire Dept truck was a good addition for kids. Vendor setup worked along the path. Jericho and the extra games worked well. We need a new putting surface for next year’s event. Another business was actively involved in the event and they raised $135 by serving cooked perch for her charity MS.
WHAT DID NOT WORK AS WELL/COULD BE IMPROVED? The “competition” from across the street did not work well especially re the 50/50 tickets although we sold on that side of the road as well. People were confused as to which tickets they had bought. Local business should get first dibs on vendor space with a deadline to enter. Need “filler” music for next year. We need parking help next year for volunteers to us maps to direct people to parking. 3 vendors did not show this year although there were enough. Next year vendors should give a deposit first which is non-refundable if they are a `no show`. Participants and volunteers should park off site next year to make it easier for visitors to park. We need to make sure that we follow up with our vendors to ask how they did at the end of the event. The auctions should be timed differently so that we can maximize available bidders. Next year we need to send out reminders to the e-mail list a month before to remind them that the fish blanks are on sale. It would be good to get the 2 BIA`s working together on events and maybe the Town could give one $20,000. 22. CALL TO ORDER: Called to order at 5:30 p.m.
Keylan indicated that the Ontario By Bike conference is set for November 17 for the “Bike Friendly” event at the Link from 6-9 pm. Every business is welcome. 8. DELEGATIONS: Peter Budreo from South Lake Community Futures attended the meeting and he gave a presentation on the programs that SLCFDC offers to their catchment area. He described the various streams of available dollars and told us how we could use Futures dollars to potentially piggyback in order to obtain other possible grant funds. There is good potential for the BIA members individually and collectively. Futures money could double the budget for streetscaping from the Town. In addition, funds could be used to make the east side of Lake Drive the same as the west by removing the dangerous interlocking pavers and changing it to coloured concrete. Steve thanked Mr. Budreo for his attendance and presentation and suggested that we should meet again soon to further discuss possibilities and to promote them to our members. During our upcoming walkabout we will determine what other requests we might make for the Town Budget. UPDATES: Keylan reported that the budget process was occurring now and he asked that we please submit any funding requests to them. We are planning on having a walkabout the week of October 20th TBA and during that, we will determine what other requests we might make. Andrew asked if there was a way for us to reclaim the HST $ for the BIA? It was indicated that if we were to do that, then ALL items purchased must be subject to HST. This item will be discussed further at a later date. Our Treasurer and accountant will advise us on the matter. PAINTED PERCH: Steve reported that there was one cheque still outstanding from our sponsors of Painted Perch. He will follow up. TREE LIGHTING: Steve asked if there was power along Lake Drive to allow additional Christmas lights. Keylan indicated that there was power in some places. Steve and Keylan were to look and follow up this coming week. Christmas in the Park was discussed and it was suggested that we could put a projector on top of the Gazebo which spins and makes it seem as if there are lights everywhere in the trees. It costs approximately $200.00 and Steve will have the information for the next meeting for a decision. Steve indicated that the lights are up in the median and asked if we will get a credit re the takedown of the lights. It was suggested that we could do hot chocolate in the park during the Santa claus parade in early December. We decided yes and we are to look for volunteers to serve the hot chocolate. Canadian Tire February Family Day Fishing Tournament was tabled. They intend to have 400 entrants at $125 each out of Jackson’s point and the logistics of the event were discussed. They will need a lot of volunteers to assist. Proceeds are going to our LOCAL Jump Start Fund. Much further discussion as to our involvement shall be had at our next meeting. 11. UNFINISHED BUSINESS: as already discussed. 12. NEW BUSINESS : We have received BIA associate memberships from Gypsy By the Lake and Hedge Road Landing. Steve indicated that the launch of our new website will be done at the AGM. Frank reported on the new Waterways Committee expressing concerns about the low water levels on Lake Simcoe and the timing of the annual “dump” of water from the lake. It was suggested that we “team up” with any and all parties interested in this topic to make further recommendations to Trent Severn Waterways. This group will also discuss the continued health of the lake and such issues as dredging the mouth of the Black River. Our AGM will be October 27 at 8:00 a.m. at the Briars. All officers must prepare a written report for the AGM Agenda. 12. OTHER BUSINESS: We need input for our Fall Newsletter. Budget report –nothing to report at this time. OBIAA response to our insurance coverage was a flat “no”. They said that they polled their members to ask them with the negative answer resulting. LINK Grand Opening- Steve indicated that he would like to see as many Board Members there as possible. Steve suggested that we need a better system for meeting minutes. It was discussed further and John indicated that he would try to get the minutes out in a timely manner in future. Steve suggested that we need to develop a Beautification Plan for the next 3 years because we are always working too close to “deadlines” and running into time line issues. 27. CALL TO ORDER: CALLED TO ORDER AT 5:44 p.m.
STEVE AND ANDREW PUT ADDITIONAL LIGHTS ON THE TREE AND AROUND THE BUSHES IN FRONT OF THE STAGE. AN ELF LASER LIGHT WAS PURCHASED AND MOUNTED IN FRONT OF THE STAGE TO PROJECT INTO THE PARK. STEVE IS TO REPLACE THE STOLEN ELECTRICAL CORD ON THE ISLAND LIGHTING. STEVE IS TO PURCHASE CHRISTMAS COOKIES AND JELLY DONUTS FOR AFTER PARTY. LAKE SIMCOE ARMS WILL SUPPLY HOT CHOCOLATE. ANDREW SUGGESTED THAT THE FLYERS SHOULD BE DONE EARLIER AND INCLUDE MORE INFORMATION. ANDREW REPORTED THAT HE RECEIVED SOME NEGATIVE FEEDBACK ON THE FLYER BEING TOO MUCH GEARED TO CHANUKAH. I HAVE TO ADDRESS THIS ALTHOUGH THIS MIGHT NOT BE THE RIGHT PLACE. FIRSTLY THERE ARE 2 CHANUKAH EVENTS BECAUSE THE DATES DO NOT COINCIDE. AT THE LIGHTINGS WE CAN LIGHT THE MENORAH BUT WE CANNOT BLESS IT. SECONDLY, THE ORIGINAL FLYER INCLUDED BOTH CHRISTMAS AND CHANUKAH ON ONE SHEET. WHEN I WAS ABLE TO BOOK MR. AND MRS. CLAUS I FELT IT WAS BETTER TO PREPARE A TWO SIDED FLYER SO THAT I COULD PLAY UP MR. AND MRS. CLAUS, THE TREE LIGHTING, AND THE MENORAH LIGHTING ON ONE SIDE AND THE CHANUKAH DINNER ON THE OTHER. THIS ALL HAPPENED AT THE LAST MINUTE. DATE IS DECEMBER 12 AT THE LAKE SIMCOE ARMS. FLYERS ARE DONE AND DISTRIBUTED. ALTHOUGH NOT A BIA FUNCTION THIS YEAR WE SHOULD LOOK AT THIS BEING A JOINT BIA AND KINSMEN EVENT NEXT YEAR. FUNDS RAISED WILL GO TO THE GEORGINA FOOD PANTRY. KAT’S GALLERY AND PEPPERWOOD DESIGN HELD THEIR CUSTOMER APPRECIATION NIGHTS NOVEMBER 26 OFFERING FOOD, SPECIALS, AND EXTENDED OFFERS. SATURDAY FEBRUARY 13. CANADIAN TIRE HAS CONTACTED LOCAL BUSINESSES FOR DONATIONS. THEY ARE LOOKING FOR VOLUNTEERS FROM THE COMMUNITY. VOLUNTEERS WILL BE PAID $15 PER HOUR. WE WILL MAKE AN APPEAL THROUGH OUR FACEBOOK PAGE. STEVE HAS RECEIVED 12 BUSINESS REGISTRATION KITS BUT THEY ARE INCOMPLETE. MISSING THE BUSINESS SPECIFIC NEEDS AND SIGN UP. WE NEED TO SIGN UP 5 BUSINESSES TO BE RECOGNIZED. SUGGESTED BUSINESSES ARE KAT’S, LAKE SIMCOE ARMS, EUSTACE PHARMASAVE, LAKESIDE PIZZERIA, AND MAPLE LEAF DAIRY BAR. STEVE TO CONTACT OBB TO GET THE MISSING PAPERWORK AND THEN WE WILL SET UP MEETINGS WITH EACH BUSINESS. TROLLEY OR CARRIAGE SERVICE ON WEEKENDS. 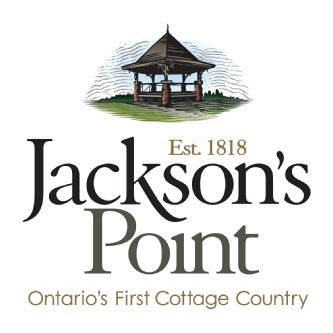 AT THE AGM ANDY FROM PEPPERWOOD DESIGN SUGGESTED THAT WE LOOK INTO RUNNING SOME TYPE OF SHUTTLE SERVICE DURING THE SUMMER TO BRING PEOPLE FROM THE BEACHES AND MARINAS TO JACKSON’S POINT AND SUTTON BUSSINESSES. STEVE HAS BEEN UNABLE TO LOCATE A TROLLEY STYLE SERVICE BUT HAS FOUND A PLACE THAT WILL RENT US A 6-8 PASSENGER GAS POWERED GOLF CART FOR $600 PER MONTH. THE ISSUE IS THAT THESE ARE NOT LICENSED BY MTO. KELAN SUGGESTED THAT WE MAY BE ABLE TO OPERATE UNDER A SLOW MOVING VEHICLE PERMIT FROM THE TOWN. INSURANCE IS ANOTHER ISSUE. STEVE IS LOOKING INTO IT. KELAN SAID TOWN INSURANCE MAY COVER. WE WOULD HIRE LOCAL PEOPLE TO DRIVE THE CARTS AND OFFER HISTORICAL AND LOCAL COLOR ALONG THE ROUTES. ANDREW SUGGESTED THAT WE MAY BE ABLE TO USE THE BIKE PATH TO MOVE BETWEEN JACKSON’S POINT AND SUTTON. MORE INVESTIGATION IS ONGOING. THE 2016 OBBIAA MEMBERSHIP CAME IN. VOTE TO RENEW. MOTION BU JOEL, SECONDED BY ANDREW. CARRIED. 13. MEETING ADJOURNED: 7:00PM MOVED BY ANDREW SECONDED BY JOEL.